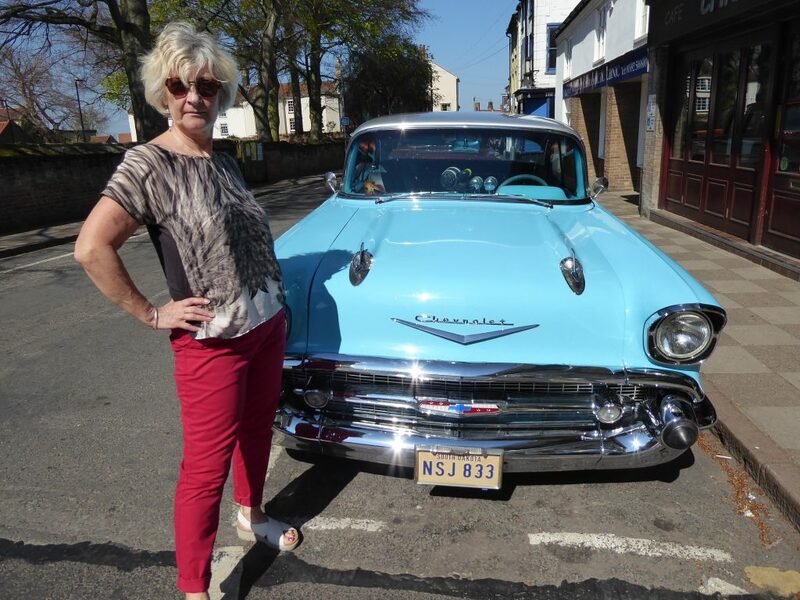 An Easter motorbike event at North Walsham revved up some fundraising for the town’s hospital Friends group. 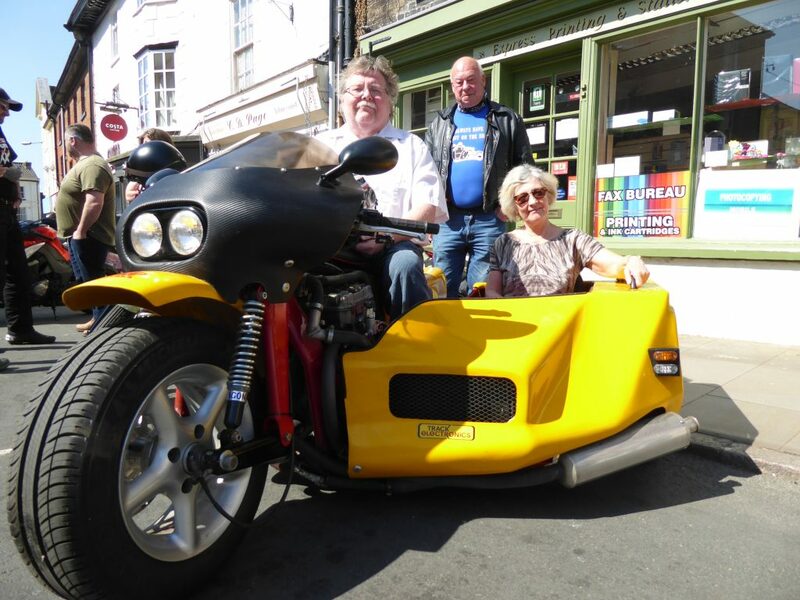 Trike and Bike Show – Friends secretary Angie Batson rides sidecar with mayor Barry Hester with bike owner Jake Silk in the background. 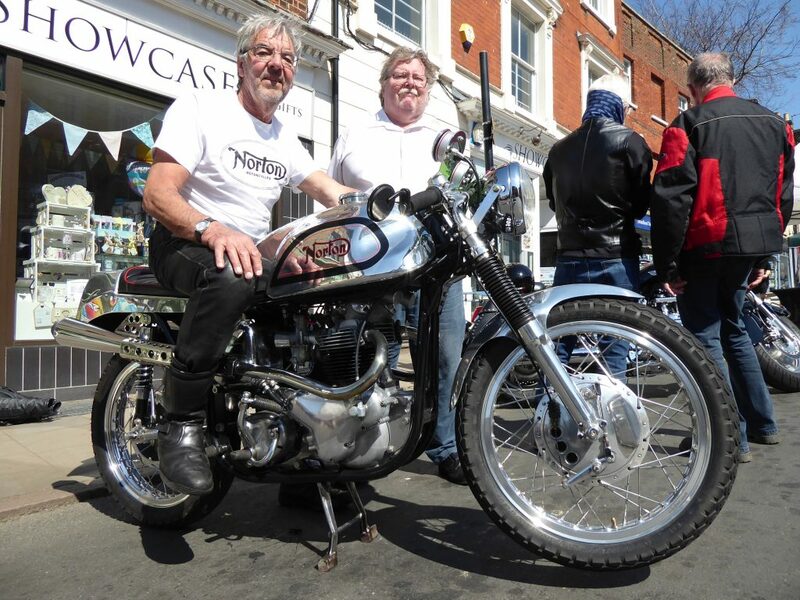 The two day Trike and Bike Show Easter Eggstravanza attracted more than 60 bikes, including restored vintage machines and sidecars, to the Market Place on Sunday. 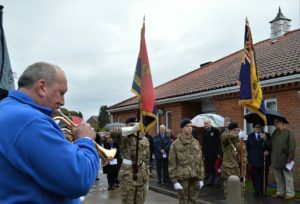 It was organised by White Swan publican Peter Edge and biker regulars Mike and Christine Bullimore and also included live music at the pub on Sunday from the Hillbilly Goats Gruff and The Bluejacks and Grease Monkeys the town football club on the Saturday night. 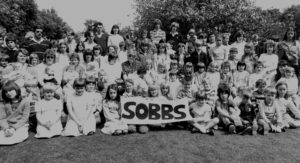 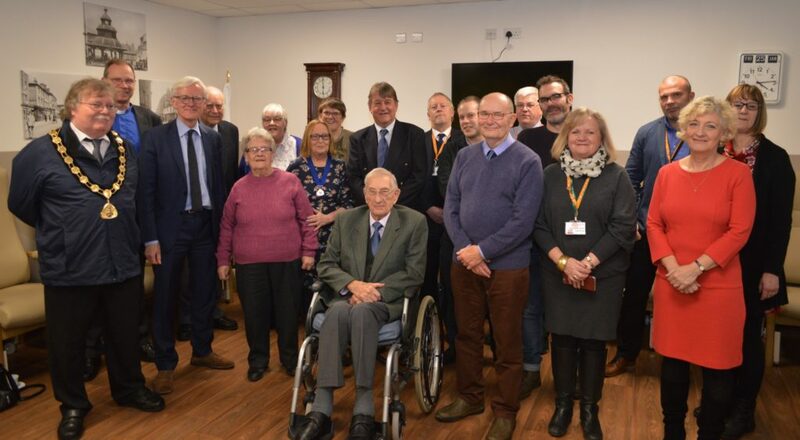 It raised around £250 to be split between the North Walsham War Memorial Hospital League of Friends, which is the mayor Barry Hester’s civic charity of the year, and the National Association for Bikers with a Disability. 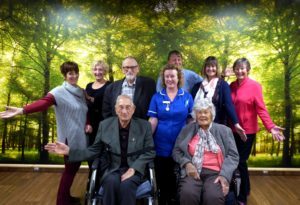 Patients on the wards at North Walsham War Memorial Hospital have been given some Christmas cheer by its League of Friends. 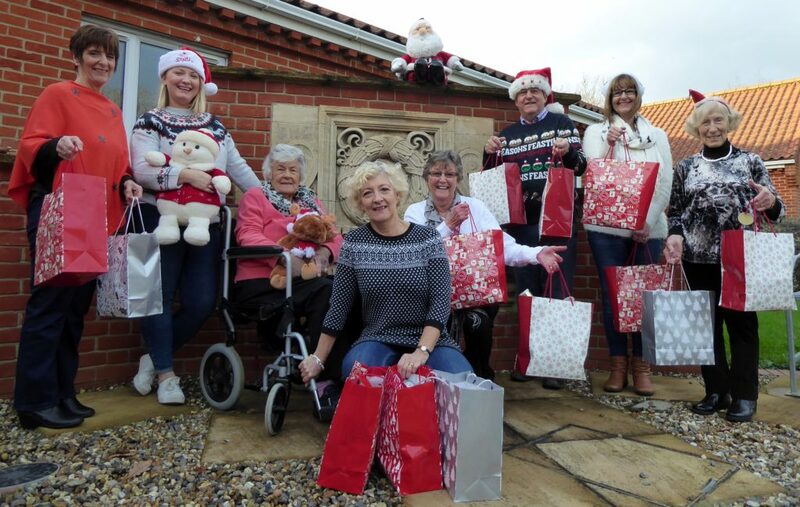 Each of them received a gift bag brimming with 15 items from socks and stationery to toiletries and cheese biscuits – topped by a Christmas cracker. 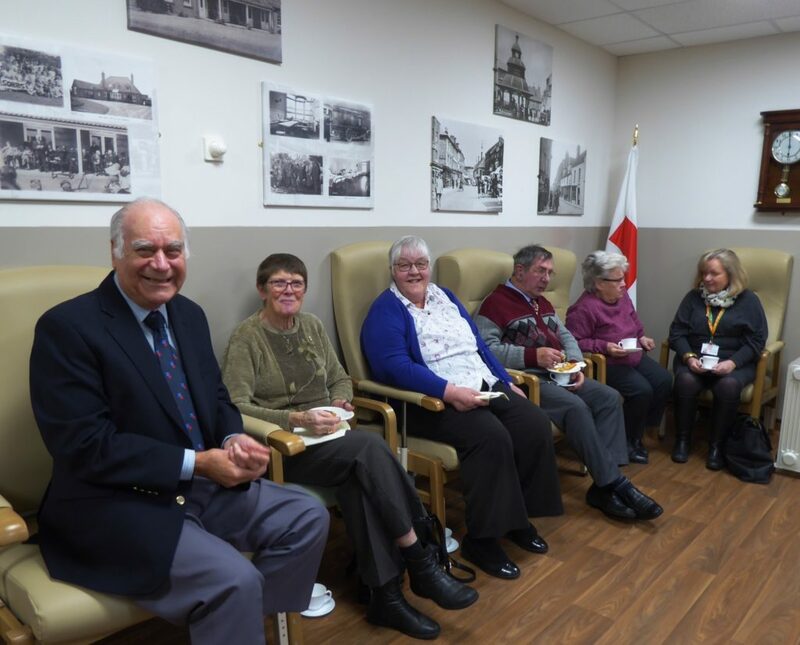 Friends members toured the hospital on Saturday to deliver the parcels. 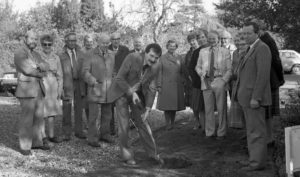 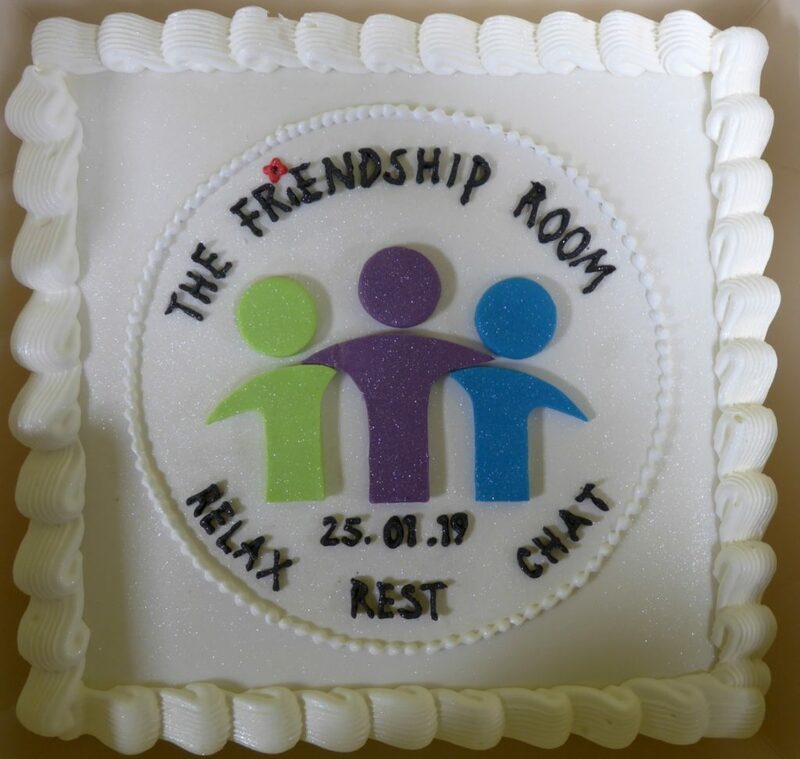 The presents, are one of the “extras” provided by the Friends – who rely on public donations for their funding – to improve the lives of patients and families. 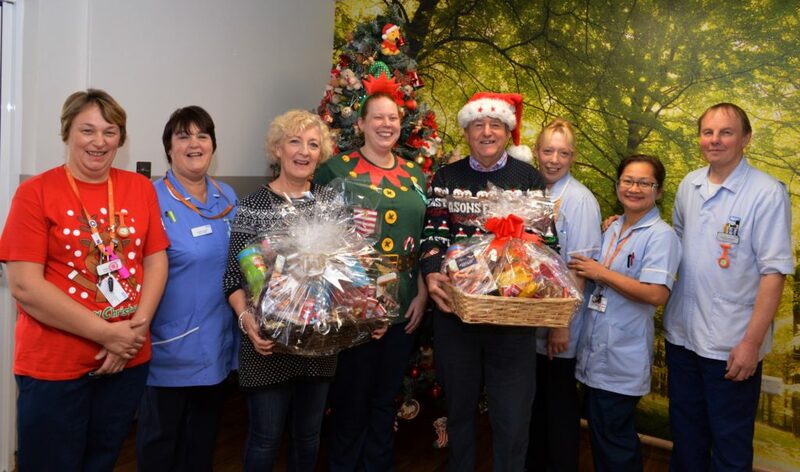 Staff were also given food hampers in appreciation of their work. 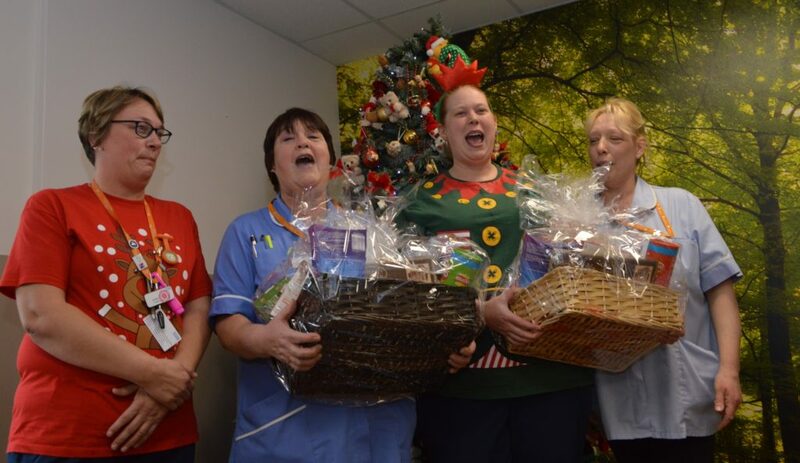 Staff sang “We Wish You a Merry Christmas” to Friends after receiving their gifts, then headed back to work on the wards. 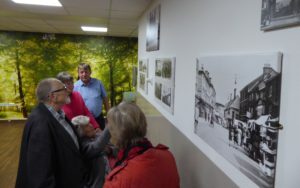 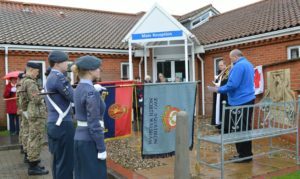 North Walsham’s War Memorial Hospital was the fitting venue for the first of the town’s five services marking the centenary of Armistice Day. 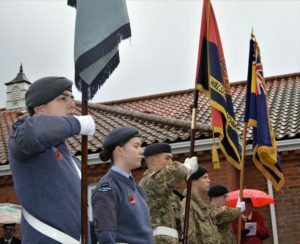 Hospital Friends were joined by the Royal British Legion, Army and Air Training Corps cadets, councillors including the mayor Barry Hester, hospital staff and supporters for a 9.30am service and wreath-laying led by the vicar the Rev Paul Cubitt. 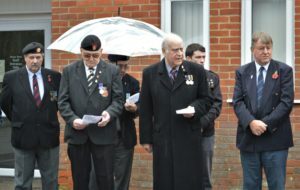 Paul Watts from the Cromer and Sheringham Band was the bugler. 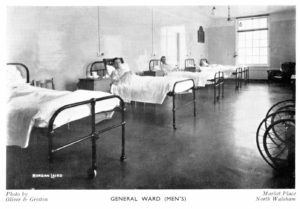 The original hospital was built in 1924 in memory of the 99 men who lost their lives in the Great War. 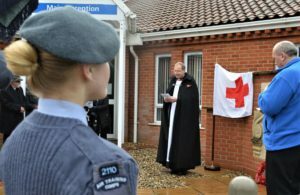 Also on display was a replica Red Cross fIag as a reminder of the two auxiliary hospitals which were set up temporarily in the town to nurse injured soldiers from the 1914-18 conflict. 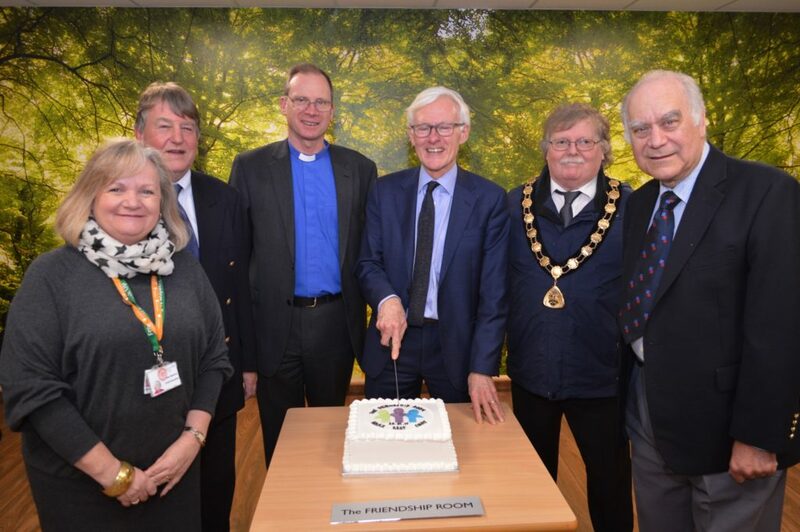 Two flags have been recreated, to go on display at the hospital and church, through a joint initiative this year by the Friends and the vicar.